A passionate new Pride and Prejudice variation explores the unthinkable-Elizabeth accepts the proposal of a childhood friend before she meets Darcy again. When their paths cross, the devastated Mr. Darcy must decide how far he'll go to win the woman he loves. How can a man who prides himself on his honor ask the woman he loves to do something scandalous? And how can Elizabeth accept a loveless marriage when Mr. Darcy holds the key to her heart? As they confront family opposition and the ill-will of scandal-mongers, will Elizabeth prove to be Mr. Darcy's undoing? Abigail Reynolds is well know for her 'what if' alternate versions of Pride and Prejudice by Jane Austen. She takes the beloved characters of Austen and twists and turns the story to shake up their path to love. 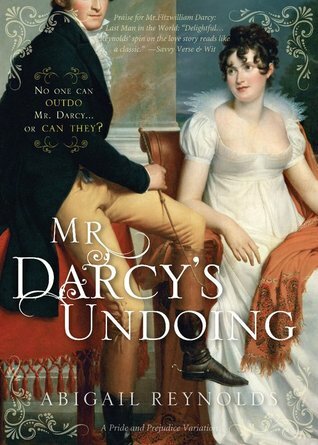 In Mr. Darcy's Undoing Reynolds picks up the story following Mr. Darcy's disastrous proposal. Elizabeth returns home to Longbourn and realizes that it will fall upon her to make a good marriage to help her family in the event that her father passes away. Elizabeth accepts the offer of a long time friend, Mr. Covington. Mr. Darcy realizes the mistake he's made in his actions towards Elizabeth and her family. 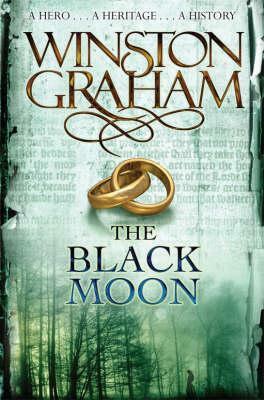 He decides to try to rectify his actions by proving to Elizabeth that he's a changed man. However when he shows up in Herfortshire he realizes that he might lose Elizabeth forever. Reynolds takes this classic story in a new direction where she covers themes such as jealousy, sacrifice, love, and forgiveness. She also turns up the heat in the sensuality department between Elizabeth and Darcy. Although parts of this novel are a pure delight there are aspects of this book that are slightly lacking. Mr. Darcy has seemed to throw his principles to the wind and give up all his propriety. Mr. Darcy and Elizabeth's personality did a complete one-eighty. I'm a huge fan of Abigail Reynolds but this book is not my favorite. 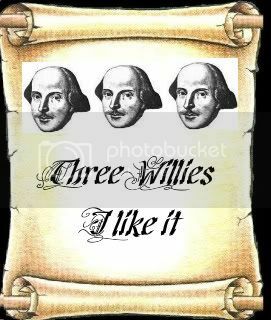 *I received a copy of this book from the author for review purposes only. This in no way influenced my opinion.